Can the World Heritage Convention save Lake Baikal from hydropower? 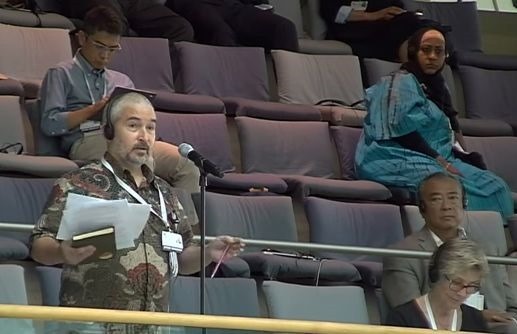 This session of the World Heritage Committee (WHC) was crucial for the Lake Baikal: WHC had to decide whether to allow it to become a technocratic reservoir system managed primarily for hydropower in the interest of industry or it should be managed as a World Heritage site for the benefit of the humankind and local people. The Lake is threatened by unnatural regulation of water level by existing Irkutsk Hydro in Russia and by planned hydropower cascade on its main tributary Selenge River in Mongolia. Civil Society Groups at the conference " The UNESCO World Heritage and The Role of Civil Society" on June 27th issued a joint statement that " Lake level regulation by pre-existing hydropower conducted primarily in the interest of ecosystem health and resilience should be the key objective of the Baikal World Heritage Site management plan. Development of additional new large dams in Baikal Lake Basin should be prohibited as completely incompatible with protection of outstanding universal values of the World Heritage Site…." In an agitated debate Poland and Vietnam were suggesting not to ask too much from Mongolia, which presented hydropower development in Selenge basin as "the best means to develop renewable energy and achieve carbon emissions". Mongolia claimed that there is no issue to discuss since Egiin Gol has no impact on Baikal, while for other dams even feasibility studies have not been completed. 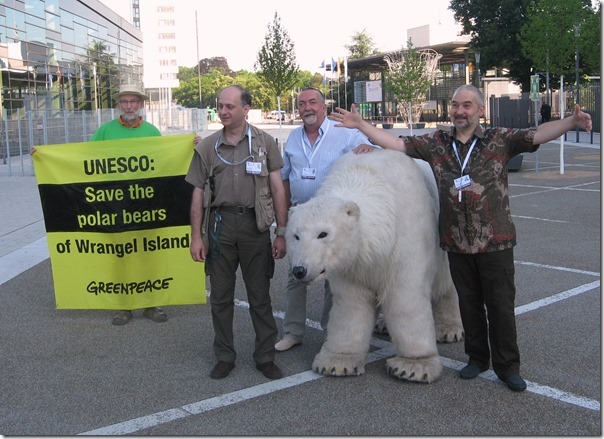 However India and Turkey, Kazakhstan and Serbia, Portugal and IUCN asked to adopt all parts of draft decision. Rivers without Boundaries Coalition Coordinator Eugene Simonov called on WHC to insist on conducting cumulative assessment of dams in Baikal basin and to urge all financial institutions to abstain from funding any of the projects in question until all the impact assessments have been prepared, measures to safeguard Baikal values agreed, and all documentation reviewed by WHC\IUCN. WHC also requested that Mongolia should not to approve any of the projects until the EIAs and assessment of cumulative impacts have been reviewed by the World Heritage Center and IUCN, but did not make similar statement addressing international financial institutions. Russian delegation was silent, for it agreed with proposed decision on Baikal, which was much less critical of this country’s practices compared with decisions on Virgin Komi Forests threatened by gold mining, Volcanoes of Kamchatka threatened by hydropower and gold mining, Golden Mountains of Altay destroyed by gas pipeline to China, Wrangel Island fragmented by new military base, impacted by army maneuvers and threatened by oil drilling. Russian Federation this year abstained from reporting on 5 (!) problematic WH properties already affected or targeted for development by state agencies of state-owned companies. WHC members expressed extreme concern on not seeing any documents or explanations coming from Russia side. Hopefully World Heritage Center will take measures to ensure that next year in Istanbul Russia presents all its debts and demonstrates that it corrects mistakes and stops violation of the Convention. • Rivers without Boundaries Coalition praises World Heritage Committee for its wise decision, but wishes that envisioned Strategic Environmental Assessment also covers existing hydropower and all other industrial impacts on waters ecosystems of the Baikal Lake Basin. • To conduct SEA two parties will likely need technical assistance, because none of them is a party to Espoo Convention and both have limited experience in SEA. Therefore WHC may also offer to provide expertise to support proper implementation of SEA according to international standards. Forming an international advisory team to assist such SEA seems really necessary step. 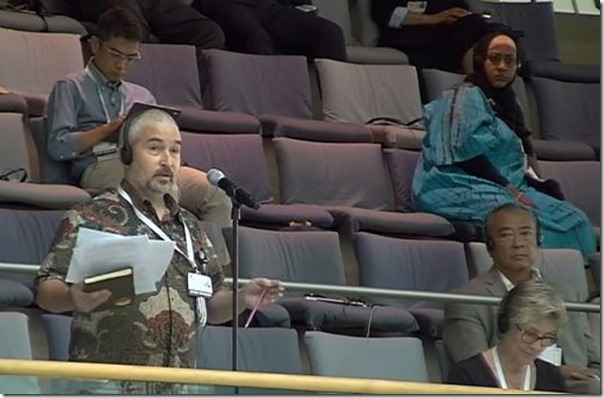 • The last but not the least World Heritage Committee does not explicitly stress public participation in assessments, likely because in most countries it is taken for granted. Since serious obstacles to public participation in conservation and development planning exists in both Mongolia and Russia, RwB would like to see this participation to be fully ensured in all prescribed assessment processes.